Las Vegas Club closed a few hours ago. After 86 years in Downtown Las Vegas she joins the other great Vegas casinos whose legacies come to an end. The 400-unit hotel of the Las Vegas Club has been closed for years. The table games closed over the weekend and slots stopped making noise shortly before midnight when everyone had to be out the door. The age-old hotel and casino was recently purchased by the owners of the D, the former Fitzgerald. Several commenters on the Las Vegas Review Journal thread mentioned they’d like to see the name “Las Vegas Club” stay, but that won’t happen. Derek and Greg Stevens owners of the D Las Vegas said they only purchased the real-estate and structure, not the business, the name or the player database. So that means the Las Vegas Club will open somewhere else and some other name will be attached to the new business when upgrades are completed. The Stevens brothers also own 60% of the Golden Gate which is across the street, one of the original, if not the original casino in Downtown Vegas. The Stevens Brothers have renovated a few properties downtown and intend to continuing like transaction in the Fremont Street Experience area which has just had new rules put in place for the over abundance of street buckers that the City and casinos have been trying to run off for years. Numerous complaints come in about the buskers, although for many we find them to be pleasant attractions. The city has been unable to drive the street entertainers out completely because the ACLU protects them for free speech. 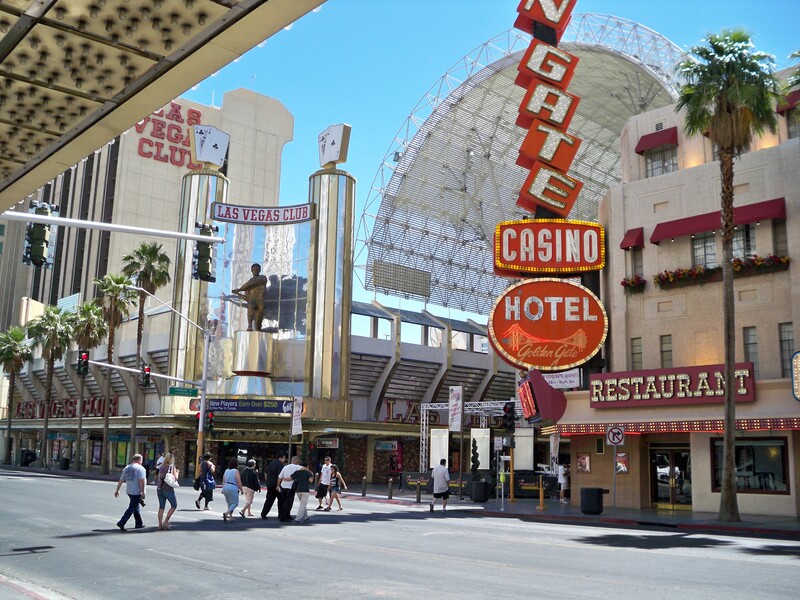 The Fremont Street Experience is private and public which makes it a complicated situation. But rumors have it that they will again attempt to drive off the buskers by creating expensive permits. When selfishness and greed dominates there’s little room for the little guy to survive. In the 86 years the Las Vegas Club has been running countless street performers made a living along its shadows. It wouldn’t hurt to just make some practical rules everybody can live with and then just get along. There is enough cash flow coming into town everybody can win. And the street buskers are like everybody and everything else, some people love them and some people hate them.